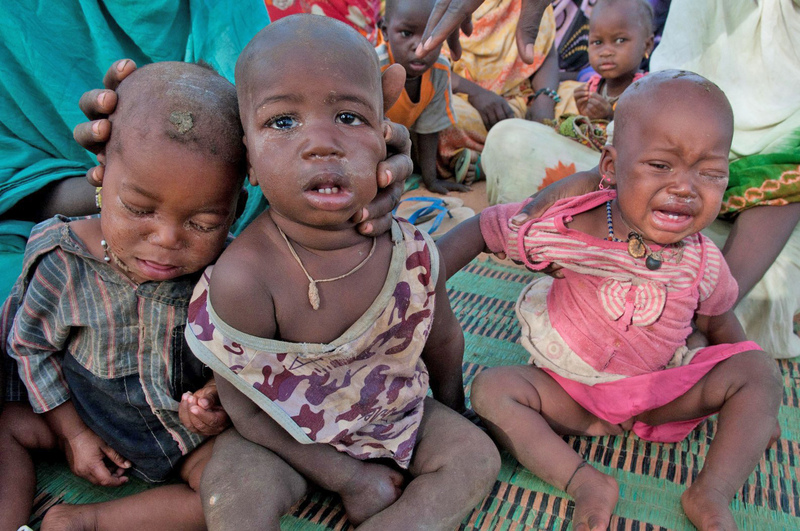 Hunger has come again to the Sahel. “Since yesterday I have only drunk water,” said Houley Dia, 60, a widow who lives in Houdallah, a village of the Fula ethnic group in southern Mauritania on the border with Senegal. “I have lived through hard times before - no rain, animal diseases, locust swarms - but this year is worse than ever,” she told IRIN. After a devastating drought and crop failure led to food insecurity and malnutrition for many children in 2005, 2008 and 2010, this time hunger is affecting about 10 million people and threatening to put more than one million children into a state of severe malnourishment, according to the UN Office for the Coordination of Humanitarian Affairs (OCHA). Mauritanians are used to going hungry – the country is structurally food insecure and drought-prone – but this year 700,000 Mauritanians are facing hunger, which is triple the number in 2010, or one in four people in rural areas, according to the government Commissariat de la Sécurité Alimentaire and the World Food Programme (WFP) (December 2011). The highest food insecurity rates are in the southeast and east of the country, including Gorgol, Guidmagha and Hodh Echargui, where percentages range from 29 to 37. Across the region, in parts of Senegal, Burkina Faso, Niger and Chad, people are beginning to run out of food. In some villages in southern Mauritania there is already nothing left to eat, and the driest months of the year are only just approaching. Women in Houdallah told IRIN they feared they could starve in the weeks before help arrived, this time from international aid organization Oxfam, which is distributing US$50 monthly to 191 vulnerable families until the rainy season comes in the autumn. Oxfam gives cash rather than food because markets are still functioning, but they will evaluate the programme in mid-May to see if the situation has changed, said Oxfam team leader Aly Gueye. One of the gardeners, Oma Mintely, 30, shows us her baby. Pus has glued one of her eyes shut and she has a hacking cough. “A lack of vitamins, I suppose,” says Mintely shyly. The baby of her friend, Ize Mintyouba, 38, caked in dirt, doesn’t seem to register anything happening around it. Several other children are equally apathetic. Medicines are hard to get in such villages and Mauritanians often have to walk up to two hours to reach the nearest health clinic. The women respond with sad laughter to the question about possible food stocks. “There’s nothing left here but dust and sand,” said Mintmohamed, a mother of five. With food for the poorest households having run out in February, many are already completely dependent on markets. Wages for daily labour, to which over half of the households turn to earn an income in the lean season, have dropped because so many are looking for work. Most people are now buying their food on credit, according to WFP. Thus far only $17 million has been made available for Mauritania, according to OCHA’s financial tracking system, which is nowhere near enough to meet the country’s needs: WFP alone requires $50 million to fund its response and thus far has received just one-quarter of that, according to WFP head Jacqueline Seeley. Even then, she said, it will only target 380,000 of the 700,000 food insecure. Unless governments decide to reach all people affected and put the necessary funding into it, there will always be a gap [in Mauritania],” she told IRIN. WFP emergency food distributions are planned to start in April, though it has reached 50,000 since November 2011. as part of an ngoing programme. No joint aid agency fundraising appeal for Mauritania has been launched to date, according to OCHA, although UN and NGO partners are discussing whether or not to launch one. The Mauritanian government called for international help in December 2011, together with other Sahelian governments, saying it needed $167 million to build up food stocks for people and animals, for cereal distributions and food subsidies, and to set up food-for-work programmes. It has done food distributions in some areas, and there are some village and national cereal stocks in place, but nowhere near the 15,000 tons needed. One aid agency representative told IRIN that no government officials have visited the villages of Houdallah and Darkhadra. The government has little capacity to address malnutrition issues said head of UNICEF in Mauritania, Lucia Elmi, while there are too-few NGOs (just 15 for the whole country) able to give sufficient help. A thinly spread population (half the people in Manhattan occupy an area twice the size of France), little infrastructure, poor roads and no internal flights make operating in Mauritania very challenging and expensive, Elmi commented. It can take four days to reach some communities, but this should change with the introduction of WFP-led humanitarian flights starting in April. Cyprien Fabre, West Africa head of ECHO, the humanitarian aid body of the European Union (EU) said they are providing $16 million for the Sahel, which includes existing regional funding plus an additional $6.6 million for the crisis, but it is still not known how much of this will go to each country, he said. It is now up to partners to come to them for money and he foresees funding coming through by the end of April. 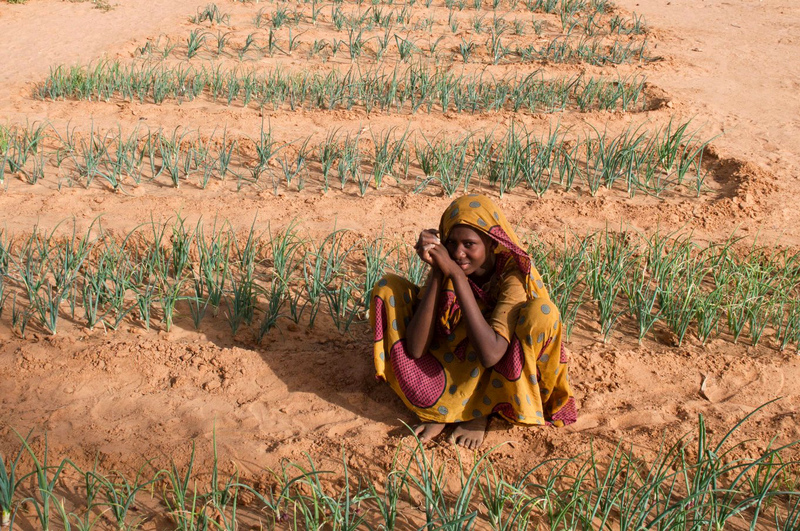 Sahel-wide, the international aid response has been slow to materialize. Of the $925 million estimated by the European Commission (EC) to help all those threatened, $200 million has so far been donated; and another $200 million pledged. “Funding is usually low [in the Sahel], partly because it is still considered a chronic emergency. Yes, it’s chronic, but it isn’t normal, what is happening,” said Elmi. A revamped early response mechanism is needed, she said, though this would require far more global commitment to the Sahel.